This coconut psyllium flatbread is soft, tender, with a light coconut flavor. It’s not only vegan and gluten-free, but it’s also paleo and keto friendly. 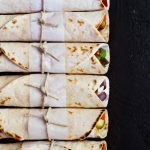 I usually serve it alongside Indian dishes, but it’s also perfect as a low-carb tortilla or wrap. There was a time in my life that I completely avoided bread. All it took was one seemingly innocent comment from my classmate: “Haven’t you gained weight recently?“. From that moment on I restricted my diet, started reading books about weight loss, and cut out every food I read something negative about. Bread-type foods were the first to go since I learned that our bodies aren’t very good at dealing with large amounts of carbohydrates. No more bread for breakfast, wraps for lunch, or crackers as a snack. I also read that eliminating gluten could help with weight loss. So, gluten-containing foods were the next to go. After a few months of these practices, I was left with fruits and vegetables, pseudo-grains, legumes, nuts, green tea and water. I felt like a crazy person. My reasonable self knew that I shouldn’t be restricting my diet so much, but every comment about how skinny I was felt like an accomplishment. I was losing weight and loved the way I looked. On top of eliminating entire food groups from my diet, I ran ten miles every morning, did squats and push-ups while studying, and paced in my room instead of sleeping. I was hungry, cold, tired, and unable to pick myself up. I pushed my body to the point that I collapsed. Now that I am at a healthy weight, people ask me how I overcame my eating disorder. My answer is always the same – healthy eating literally saved my life. My focus shifted from calorie counting to nourishment. For whatever reason, I believed that every product with the label “healthy” was OK for me to eat. (I am putting the word healthy in quotes because I think everyone’s opinions of food and health vary). Some things I want to reiterate here are, that I do not believe that grains or carbohydrates are bad. No natural food group should be vilified, just as no macronutrient should be either. However, if you’re on a low-carb diet and crave bread, this recipe might just be for you. Psyllium is a 100% natural source of fiber and coconut flour is such an excellent alternative to grain flours. So this psyllium flatbread (jut like these flaxseed wraps) are an excellent grain-based bread alternative. Whew! Now some notes on the recipe. The base ingredient in this recipe is coconut flour. Coconut flour is very unique in that it doesn’t perform the same as grain-based flours in baking. It’s extraordinarily absorbent, so very little coconut flour is needed to successfully produce a recipe. It also tends to be very dry, which is where psyllium husk comes in. Psyllium is a form of soluble fiber that provides not only elasticity and structure, but also binding. It works a bit like gluten in traditional baking, and makes it possible to handle the dough. I am also using a little bit of baking soda for leavening and olive oil for moisture. The salt is optional but recommended. The dough for this psyllium flatbread is really easy to make. It does take a little bit of time for the coconut flour and psyllium husk to absorb all the water so the dough is moist at first. However, it gets dryer after about a minute and is really easy to work with. I like to rest the dough in a bowl for 10 minutes to let the psyllium husk absorb the moisture and create an elastic, soft dough. The dough should not be crumbly or sticky. The easiest way to roll out the dough is to use a piece of parchment paper or a silicone mat. Simply place the dough between two pieces of parchment paper and roll it out to your desired thickness and shape. If this is your first time making this psyllium flatbread, I recommend that you roll out the dough a bit thicker and smaller, no larger than 8″ (20 cm) in diameter. The thicker and smaller the dough, the easier it is to handle. To shape the flatbread, place a plate on top of the rolled-out dough and cut around the edges. Keep the edges to reform more bread. Since I have made this recipe numerous times now, I am comfortable lifting the rolled out dough off the parchment paper and transferring it to a hot griddle. Another option is to flip over the flatbread onto a griddle with the parchment paper and then carefully peel the parchment paper off. I also find that if you let the rolled out dough rest for even just a couple of minutes, it’s easier to handle. I use a seasoned cast iron (= naturally non-stick) pan to make the psyllium flatbread. I slightly grease the pan with olive oil that I rub onto a piece of absorbent paper. No oil should remain in the pan. You don’t want to fry the bread. If you don’t have a cast iron pan, a non-stick pan should work too. This coconut psyllium flatbread is soft, tender, with light coconut flavor. It's not only vegan and gluten-free, but it's also paleo and keto friendly. I usually serve it alongside Indian dishes, but it's also perfect as a low-carb tortilla or wrap. In a medium mixing bowl, combine the coconut flour, psyllium husk, baking soda, and salt. Add in olive oil and warm water. Stir it well with a spatula, then use your hands to knead the dough. Knead for 1 minute. The dough should be moist and get softer and slightly dryer as you knead. If the dough is too sticky, add more husk, 1/2 tsp. (2.5 g) at a time. The dough will always be a bit moist but it shouldn't stick to your hands at all. It must come together as a soft, elastic dough. Set aside for 10 minutes. Cut the dough into 4 even pieces. Roll each piece into a small ball. Place one of the dough balls between two pieces of parchment paper (not wax paper!) and press the ball with your palm to flatten it out a little bit. Roll it out as thinly as you like. My breads are usually around 8" (20 cm) in diameter. Unpeel the first layer of parchment paper from your flatbread. Use a plate to cut out round flatbread. Keep the outside dough to reform a ball and roll more flatbread - that is how I make 1 extra flatbread from the 4 balls above! To cook the bread, heat up a cast iron (or non-stick) pan over medium-high heat and add 1 tsp. / 5 ml olive oil. Rub the surface of the pan with a piece of an absorbent paper towel to get rid of any excess oil in the pan (so the bread doesn't fry). Flip over the flatbread on the hot pan and peel off carefully the last piece of parchment paper. Cook for 2-3 minutes on the first side, flip over using a spatula and cook for 1-2 more minutes on the other side. Repeat the rolling and cooking for the next 3 flatbreads. Make sure you rub the oiled absorbent paper onto the saucepan each time so the bread doesn't stick to the pan. Store leftover flatbread in an airtight container in the refrigerator for 4-5 days. Rewarm in the same pan or if you want to give them a little crisp rewarm in the hot oven on a baking sheet for 1-2 minutes at 300°F (150°C). 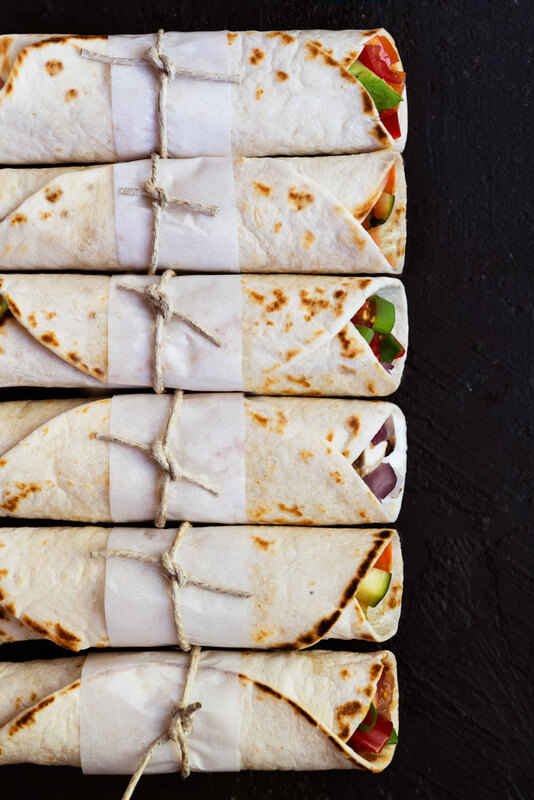 For longer term storage, freeze in an airtight container with a piece of parchment paper in between each flatbread (so they don't stick together as they freeze) for up to 1 month. I so love your recipes use them all the time. The red lentil pizza is amazing and the mousse I mix with non dairy whip cream in food processor and make a lighter mousse it’s heaven. Keep the recipes coming. Thank you so much, Penny! Comments like yours are the highlight of my day ❤ I really appreciate you taking the time to comment and share your feedback. Thank you! Hi, I’m really sorry but I can’t find the quantities information in the recipe, am I missing it? Hi Lindy – the recipe ingredients and directions are all the way at the bottom of the post (right above this comments section). Please, let me know if you’re still not seeing the recipe. I just found your youtube channel and recipes a few days ago and I am loving them so much! We follow more of a Paleo diet, but we love the variety and freshness of grain free vegan food. I can’t wait to try these wraps! I have been searching for bread alternatives as we love sandwiches and tacos but most of the recipes and commercially prepared I find are full of starch, aren’t pliable, or take a lot of work. I have never cooked with psyllium so I just bought some and going to make these today. Thanks again! I made the wraps and they are so easy and delicious! I wanted to share a tip with you on getting perfect tortilla shapes every time without any fancy gadgets. I have a bamboo countertop, so I simply put down a layer of parchment, then the dough ball, another layer of parchement, then I placed a flat wooden cutting board on top and pressed down with all my weight and voila, homemade tortilla press! No rolling pin either. The tortillas were perfect everytime and on the ones I wanted a tad thinner, I took a flat bottom metal pan and pressed down and shimmied the pan a little to get the dough a bit thinner. Since I wasn’t cutting off edges of dough, I made 5 dough balls to make these. Thanks again, now I am off to try the flaxseed wraps. What?! Really?! I wish it was not midnight where I am right now because I would totally try it like right now. Thank you so much for sharing this tip, Becky! Can’t wait to give it a try. hallo, , I tried to make flatbreads with psyllium but it didn’t work at all! It didn’t get stick at all. I had psyllium seeds, is that ok? What sent wrong? Hi Tania – so sorry to hear you had troubles with the recipe. Can you share with me what brand you used? Did you use psyllium seed husk or psyllium seed powder? I am sure we can figure out what went wrong. Thank you so much for this wonderful recipe ! I tried it for lunch and we just loved these flatbreads. They are soft and pliable even when they are cold ! It is really the best gluten free flatbread I tried and be sure I will prepare more soon ! You are a gem Petra and I am so glad I found your website. I love your recipes and the way you present your videos. Be blessed ! Thank you so much for the feedback, Elfyeth! So happy you enjoyed the recipe ❤! This recipe didn’t work for me. Followed it exactly. I really wanted this to work for me. Hi Denise, I am so sorry this didn’t work for you. Can you, please, let me know what exactly happened? I am really confident in the recipe so I am sure we can troubleshoot it. The first thing that comes to mind – did you use psyllium seed husks or psyllium husk powder? So you use the whole husks, not the powder, correct? Hi Crystal, Yes! Whole psyllium husk, not the powder. I’m wondering do I buy the psyllium flakes? I was reading the comments earlier and saw you said it’s a difference. Psyllium seed husk is all new to me so I’ve never seen it before, but I did google it. Hi Petra, thanks for sharing this recipe Im just wondering if you could please put the calories in each recipe you make because its flavourful and I dont want to end up eat it all..
Hi, yes, it’s on my list of things to do. I am currently switching to a different recipe plugin and adding metric measurements to every recipe. Once that’s done, I will add the calories and nutritional info. Thank you for your patience! Thank you so much Petra!This recipe just a lifesaver for breadlovers who is on keto!Amazing tortillas for my tacos! Hi Petra, It’s not like I am in the Keto mode and the bread it’s great by itself but….I made variations: once adding Spirulina for a greenish look, another by replacing water by a tomato soup leftover and last but not least replacing water by beetroot juice, al of them were great too. Thanks, this recipe is one of my basics now. I just printed this recipe, found it on Facebook! Since I am just starting out on the Keto Diet through Dr. Berg, I have been looking for a suitable bread substitute that won’t affect my numbers! I am going to make this today and enjoy it! Love your videos, have seen a couple in the past but this is the first time I have been able to really take a look at you. You and your husband are so good together, love it! Liked your Facebook page and I look forward to seeing more of your posts. 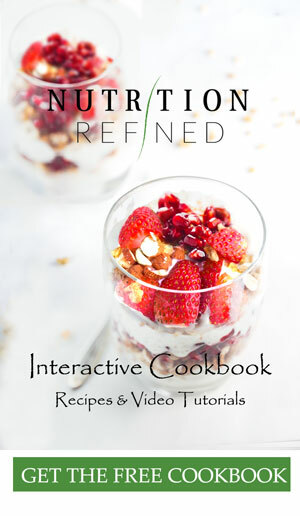 I have been rummaging through your webpage as well… Love your approach to food! Love your website!! Just wondered, do you think this recipe could be used for dinner rolls? Cooked in the oven or flattened slightly and fried in the pan? I tried these last night and I am hooked. They were easy to make and soooo good! I like the way you explain what the chemistry may be between ingredients and why they are used in a recipe. I am working on moving away from gluten as it’s very inflammatory, so these are perfect! They are so pliable! Just love them. In addition the coconut flour is a great way to incorporate pre-biotic into our diet, something few people talk about. Excellent blog site. This recipe is amazing!!! Low carb, gluten free, taste’s amazing!!! Thank you! this kept flat bread looks so good! I was wondering if you could provide the macros for this recipe 🙂 Thank you for the recipe. Hi Chiara – thank you for your feedback! so happy you like the recipe 🙂 For sure. – the entire recipe (5 flatbreads) has 82.3 g total carbs (54.9 g fiber), 32 g protein, and 27 g fat. Made these and they are amazing. I added some home made chipolte seasoning to give them a little extra flavour and help cover the coconut taste. Thank you for a great recipe. Can you tell me what brand coconut flour you use? I tried your recipe and they have a purple tint to them. I use Bob’s Red Mill. I don’t think it’s the flour though. I have read that some brands of psyllium can make your food turn purple ..
Do other nut flours work for these? Like almond? I am excited to try these! Can you substitute flax seed meal for the psyllium? Hi Lori – I have never tried it, so I can’t say for sure. Both psyllium and flax seed meal are binders; I am just not sure if you wouldn’t need to adjust the amount/ratio of other ingredients. Hi Nida – yes, totally. You can make the dough ahead of time. Just make sure you store the dough in an airtight container (or use a piece of plastic wrap), so it doesn’t dry out. Hi Petra. Thanks for a lovely recipe. I have made these 5 times so far and used them with scrambled eggs, curries and many other ways. They are terrific and they last for absolutely ages in the fridge. Thanks again. This recipe is definitely a keeper. Made them and they were nice – I think we made them too thick. They were also quite salty so a couple of tweaks for next time. Otherwise, I really liked the flavour – kinda nutty and sweet. Thanks for sharing the recipe. Petra – unlike my disastrous results with the flaxseed meal recipe – these turned out great, and were VERY easy to make – used my ceramic non stick skillet that I purchased at a local home goods discount place (that I generally make pancakes with since it works so well) – thank you thank you for this recipe. I was able to squeeze out 5 even though the last made from the scraps from cutting the 8″ other ones (looked a little uneven but will still do all my lunches this week) all had a lovely golden brown color (we used coconut oil – a tiny bit – to cook them – but olive oil in the dough) and are nicely pliable. I am happy for you sharing this recipe. God bless you and yours. Thanks again. Would almond flour work in place of coconut flour? Hi Chris, it might, but you would need to adjust the ratio of other ingredients. It would not work as a 1:1 substitution. Coconut flour is much more absorbent than almond flour (it soaks up much more liquid), and it’s also much denser. I have never tried this recipe with almond flour, so unfortunately, I don’t know what the measurements would be. 3) what if add eggs? Does it work ? 1. Baking soda reacts not only with an acid, but also with heat (if there is no acidic ingredient). The only disadvantage (to not using an acidic ingredient with baking soda) is that your baked goods might end up tasting a bit metallic (that’s why I only used 1/4 tsp.). 2. Yes, you can. If you’re making flatbread (similar to naan), I would use baking powder or baking soda. If you just want thin wraps, I would skip the leavening agent altogether. Thank you for this recipe! It was such an easy recipe to make, and makes an awesome carb substitute. I had it with some beef curry and it was delicious. I’m so excited that it is relatively low calorie, eggless, and dairy free. I’ve made almost all of your recipes and they were all fantastic! These were the strangest ones 🙂 but only because of the dough itself; but delicious as well, and I’ve made them again and again and again. 4. For those struggling with the raw dough, do as Petra says! The dough can’t stick to your hands at all. Thank you so much for the feedback Andrea!❤️ I really appreciate you taking the time to do that. Love all the tips. They’re beautiful in the picture but mine don’t look one thing like this. I used Bob’s Redmill coconut flour and Now whole psyllium husks. They’re brown and are difficult to flip because they’re so soft, even after cooking the first side, even though the “dough” doesn’t stick to the parchment and seems fine. I’m sure you’ve answered this in the comments already but any further direction? Has anyone else made these to resemble the picture at all? Would love to make them but this isn’t working very well for me. Hi Daphne – I am sorry you had trouble with the recipe. The brown color is definitely caused by the psyllium. In general, the color of psyllium husk is light. The lighter the color the higher the swell volume; the higher the swell volume the better the quality. The color definitely varies depending on the brand. My psyllium is very light (by Pomme Natural Market). I just went on NowFoods website and it says that their psyllium is brownish color and natural color variation may occur. So, that’s most likely what caused the darker color. There are also brands that can turn blue or purple when mixed with other ingredients. The dough is soft and delicate for sure. However, you shouldn’t have any problems flipping it. Did the dough stick to your pan or was it just the flipping that seemed difficult? Thank you for the reply. I’ll try to get a lighter psyllium husk. It stuck to the pan a bit and there was no way I could have handled it the way you did in the video after you cut out the rounds. It came off the parchment well enough but not almost like a “tortilla” the way yours looked in terms of sturdiness. Mine was much softer. I’ll try again and let you know. HI Daphne – I have been making these tortillas since Petra posted the recipe. I use psyllium from a local bulk barn and the tortillas always turn out very light. Handling the dough can be a bit tricky, but once you get it to the pan, it gets easier. I usually leave the flatbread on the parchment paper after I roll it out, and then just flip it right onto the pan. This works like a charm! One more thing that comes to mind – psyllium absorbs water as it sits. So, if you let the dough rest for some time, it might help with the softness (the dough will become a little firmer). was bored with limitted choices I have on bread while keto. Now I can’t wait to wrap. This was so easy and delicious!! Thank you for this and your YouTube channel. You and Tanner are adorable!! You just created low carb crepes! Bit of butter, xylitol, and lemon on top and Paris is a hop skip and a jump away. Love it! Thank you for the comment, Rob. So, I bought Psyllium, Husk Powder for this recipe. Did I buy the wrong kind? Hi Mary – the recipe calls for whole psyllium husk. While psyllium husk and powder are made from the same food source, the husk is less concentrated and absorbs less water. However, since you already bought the powder, I would give it a try. You might need to increase the amount of water (since the powder is more concentrated), but the recipe should still work. Please, let me know how it goes if you try the recipe. Hello I would love to try this recipe. But I only have the psyllium powder. Will that still work or will I need to adjust the ratios. If i need to adjust can you provide the adjusted amounts please. Thank you! 1. You can substitute the psyllium husk for psyllium powder. The recipe works just as well. So, instead of 2 Tbsp. psyllium husk, you would use 2 Tbsp. psyllium husk powder. 2. My psyllium husk powder was pretty dark (a cross between brown and gray … almost like a clay), so my flatbread turned out rather dark too (much darker than when I use whole psyllium husk). 3. The powdered psyllium is more concentrated, which reflects in the flavor a little bit. The flatbread tastes more earthy. 4. The texture doesn’t change much except that with the powder the flatbread is a bit smoother (there is no “psyllium texture”), which is a plus, in my opinion. Thank you so much for this recipe and the explanation. I’ve made these flatbreads about 5 times now and only just now realised that I have psyllium husk powder. As you say, it works well. The first time I made it, the dough was very dry and cracked all over the place as I was rolling it out. It took me an hour to roll out 6 flatbreads! But now, I make the dough softer and that helps. Next time I will try keeping the balls in a closed container as I’m rolling out a flatbread so that the dough does not dry out too much. They keep well in the fridge – have you tried freezing them? Duh! I guess I’ve always been so relieved to be done rolling these out that I’ve never read to the end of the instructions! Thanks for pointing it out. These are delicious! I made them with psyllium husk powder and they worked well. They were a bit tricky to roll out so I only made four (perhaps use a bit less powder next time). I rolled one up with fetta, avo and salad and had the other one just with butter – almost too good! They didn’t break or split like other wraps I’ve tried making. They’re a bit on the carby side with a keto diet so I’ll have to limit myself to one at a time! Looking forward to trying the psyllium wraps next! Can this be made oil free? Would you substitute something else in place? Hi Alocasia – the oil adds a lovely soft texture, so I wouldn’t recommend leaving it out. The recipe will still work if you do leave it out, but the flatbread will turn out drier. I have noticed that your content has been reposted in late August 2018 on another site, “the fit Mediterranean” by someone named Dani. Words are the same but pics are appear to be original. Thought you would like to know- it would be so frustrating to have people stealing your content and passing it off as their own! Thank you so much for letting me know. This is really helpful! I just followed up with that person and informed her about copyright infringement. I really appreciate you taking the time to let me know. Thank you! Hi Kevin – according to my app, one flatbread has 5.5 g net carbs. This is the best flatbread recipe I’ve found for AIP. Made it for the first time today. Delicious avocado, roast chicken & rocket. Yay! Thank you so much for the feedback, Ismac! ❤️ So happy you enjoyed it! Once again Petra, you rock! I’ve wanted to try making these wraps for a while now. I made them yesterday to stuff for vegan burritos. They really do hold together & hold everything inside. Yummy, yummy, yummy!!! & they’re so simple to make. You are my “go-to” for vegan year-round, but especially during Lent right now. God bless you, you are a blessing to many. Fab recipe. I have altered your version somewhat so as to suit my spicy curries. To your exact recipe, I also add a generous tsp of kashmiri chilli powder and ground cumin. I add a good amount of chopped fresh coriander and finally, with the wet ingredients, I balance the newly-added dry by including a tablespoon of sugar-free, natural Greek yoghurt. The end result is a lovely spicy, slightly sour flatbread that works a treat with curries. Great hopes but a rubbery disaster! Used ground dessicated coconut as the flour ~ so not such a fine texture as yours. Mixture was too greasy & more like a paste than a dough even after resting. Almost like making fritters, taking ages to cook in the dry pan and forming an outer skin while the centre stayed pasty…nothing at all like your wraps. Very frustrating! Thinking of halving the psyllium and maybe less oil …? Look for ‘coconut flour’ to replace this and see if that’s the key difference …more absorbent? Hi Sabine – you can find the metric measurements (grams, milliliters …) on my blog already 🙂 When you scroll down to the recipe box, you will see two headlines: instructions and directions. Right above the headline “directions” is a green text that says “US Customary – Metric”. Simply click on “metric” and the measurements will automatically switch 🙂 Let me know if you have any questions. Wow, didn´t realize the tool. This is very helpful! 🙂 Thanks for your answer. Nevertheless in this case I doubt, that 1/2 cup is 128 g coconut flour, that would be even more than 1 full cup of almond flour in the convertion tool of the other recipies … hmm. Perhaps an error? Oh my .. totally an error. So sorry about that. It’s fixed now!